Oh, my favorite holiday is nearly upon us... a day to celebrate love and affection. 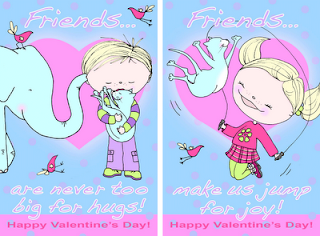 Above are two valentines I created to mark this heartwarming day. Feel free to print these out (for personal use only) and give them to those you love. Happy Valentine's Day!